Anyone who has had to pick up the tiny shards of glass from a smashed car windscreen will know how rough they feel on your fingers as you try to dislodge them from the crevice of the car seat or dashboard. As hard and as sharp as cut diamonds, these worthless, slivers of glass are often all that is left at a crime-scene to show that ‘Vandal’, and his partner in crime, ‘Having a laugh’, have smashed their way into a vehicle to nick whatever they can. But maybe that’s a good thing, because every time I come across one of these shards and risk cutting my fingers in picking them up, I’ll be reminded of the early morning when this incident became the catalyst for ordinary kindness, which in turn gave birth to a miracle half-a-world away. After I tried in vain to sweep up the glass on that freezing cold, grey, rainy morning in South London I hurried back inside my home, all the time suppressing the feelings of anger and vulnerability. I contacted the Police and insurance company. No, the police would not be attending the crime scene. No, I wasn’t covered for theft of electronic items. No, the window repair company couldn’t come out today; but yes, the excess would be £90. You get the picture! However, this hassle was to quickly fade into insignificance when as soon as I put the phone down I received an e-mail informing me that the charity I run had not been successful in securing a grant of £48,000 to fund the salaries of 15 teachers for 2 years in schools we had re-built in rural Nepal after the earthquake. On an emotional Richter scale measuring disappointment, despair and anger, this was way up there – possibly a seismic 9. How was it that we were rejected by an educational trust when we passed all the eligibility criteria and when the need and return on investment was so great? My smashed car window didn’t matter at all compared to the news that we would be failing hundreds of children entitled to quality education. 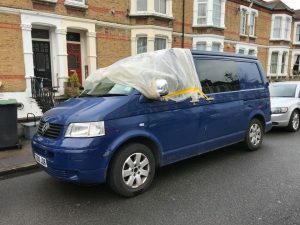 But unknown to me, after I had come inside, two workmen who had been busy repairing a gas main in the street opposite my van, voluntarily took it upon themselves to bandage the gaping wound on my car and wrap the front of my vehicle in polythene to protect the cab from the freezing rain. Consumed with my anger and frustration at the news on my screen, I hadn’t been aware of their act of kindness, until, that was I went outside to catch a bus to go to a meeting. The rain had stopped, the wind had died down, but the two men were still there working. I went over to them and they simply smiled. What they did wasn’t a big, life-saving thing, it wasn’t a grand corporate gesture on behalf of their company, it was simply a random act of ordinary kindness, but it transformed my day and my understanding of my place in this world. 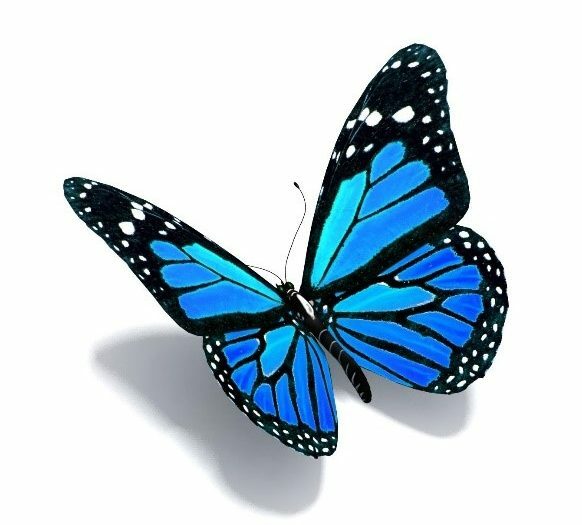 In an ever-increasingly inter-connected world, our actions however simple can have what many people are calling the butterfly effect; a concept that a butterfly flapping its wings in one continent can cause a typhoon somewhere in a far-off land. An exaggeration perhaps, but a metaphor we would be wise to kindle in our hearts. The simple act of kindness from these two strangers made a deep impression on me. While traveling on the bus to my meeting, I posted a message on Facebook sharing their act of thoughtfulness. In truth they had not just bandaged my van, they had bandaged my wounded pride, my arrogant expectation that our work was important and deserved funding. They were not heroic they were just human. When I came out of my meeting there were already many ‘likes’ and comments on the Facebook post. 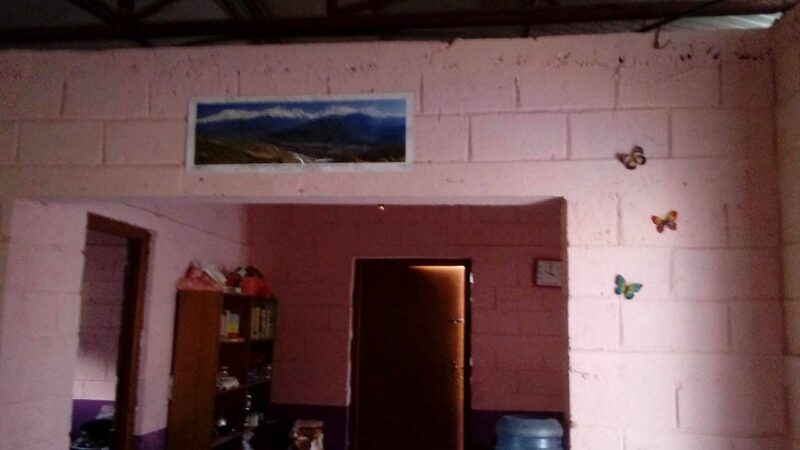 Some friends, who had been the victims of crime offered sympathy and practical help, and others were sad to hear that our work in Nepal had not been funded. “Why don’t you set up a crowd-funding page and try to secure donations for at least one teacher?” one of my friends suggested. And so, I did. When I woke up the next morning £1,200 had been raised, 48 hours later £2,300 within 3 days nearly £3,000; enough for 2 teachers, and the money was still coming in. Butterflies are fragile creatures, most only live only for a month and some are in danger of extinction. Yet they seem to do small things with great beauty. In our increasing “boast by post,” fake news world, we should do more small things with great beauty but also in secret, for this is when the real magic happens. When kindness is dressed in the cloak of anonymity, the power axis between giver and receiver dissolves, our connection, though whispered, echoes longer. So, let’s work at re-kindling a currency of kindness so our fragile, sometimes small and ordinary, anonymous fluttering acts of beauty can transform our world. For at a time when the politics of might and division are being espoused by vandals in high places and where we recognise that we are complicit in the inequality and suffering of others, we can nevertheless silently show our solidarity and start by being more attentive to the world of opportunities right before us. 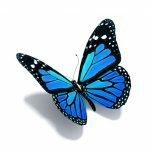 We may not hear butterfly wings on a cold winter’s morning or in the ordinariness of our lives, but if listen and love a little more, our fluttering will transform both our lives, and the lives of others half a world away. Butterflies made by girls in the Mondo HELP Hostel, Nepal.